✡ 1080P High Resolution lens ✡:provide you with the best image & video recording quality, 1920*1080 2.0MP, 1/3'' HD CMOS Sensor; 4 Array IR Night Vision LEDs; Easy to setup WIFI, Support 2.4G（IPv4）(please note:only support 2.4Ghz&IPv4) WIFI (IEEE802.11b/g/n) and Wired Ethernet Cable, not support 5G. ✡ Perfect Perspective ✡:360 Degree Panoramic View Angle,No dead-spot, no blind area,remote Pan 360° Tilt 45°control camera with FREE app"Yoosee" on your smart phone or PC. ✡ Two-Way Audio:It has two way audio function ✡：Talk with families anytime and anywhere built-in high quality microphone and speaker, you can listen and talk with families clearly. It can work 7/24 hours. ✡ Remote real-time view ✡:Support LAN or WAN connection, smart network link support iphone or android app remote view and control; support local SD card video storage. 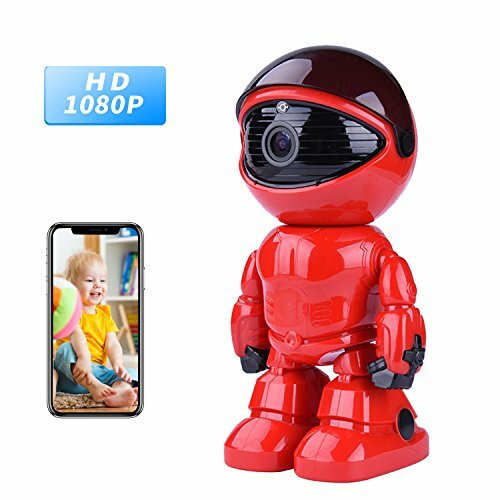 ✡ Intelligent security alarm and video record ✡:Real-time audio & video recording; 1920×1080, 1280×960, 640×480 video resolution selectable,with micro SD Card Slot, max support 64GB. Can set Manual recording, Alarm recording or Scheduled recording; Easy to playback the video from mobile app and computer. If you have any questions about this product by Tianbudz, contact us by completing and submitting the form below. If you are looking for a specif part number, please include it with your message.